A bill to grant statutory status to the Indian Institutes of Information Technology (IIITs) in PPP mode was passed by the Lok Sabha, with the government saying the fees for the poor students will not increase and that reservation law will apply there. 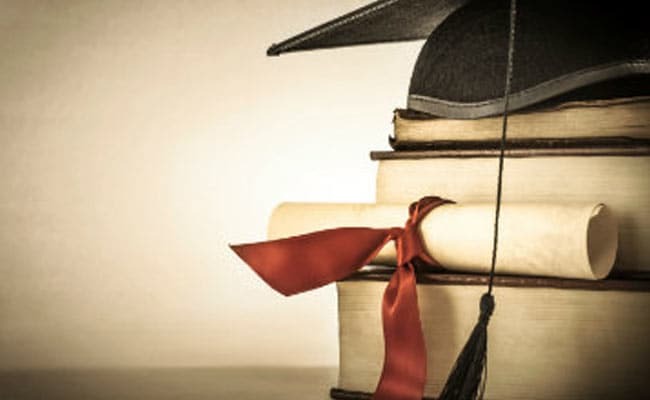 New Delhi: A bill to grant statutory status to the Indian Institutes of Information Technology (IIITs) in PPP mode was passed by the Lok Sabha, with the government saying the fees for the poor students will not increase and that reservation law will apply there. The IIIT (Public-Private Partnership) Bill, 2017 seeks to grant statutory status to 15 IIITs and declare them as 'Institutions of National Importance'. It also seeks to enable these institutions to grant degrees to their students in the academic courses conducted by them. Replying to a debate on the bill, HRD Minister Prakash Javadekar stressed that the fees for poor will not increase because of the new measure. He also said that the reservation law prevailing in the country will apply to these institutes. He was responding to questions raised by some members about these aspects. "This (fees hike) will not happen," Javadekar said. He said that fee is not the only source of revenue for the institutions as there are other sources like research grant and projects and new researches which make up for the expenses. "There might be a slight increase for those who have the capacity to bear. But for the poor (students), there will be scholarships available," the minister said. Academic session has commenced in 15 such IIITs, including in Andhra Pradesh, Assam, Gujarat, Haryana and West Bengal. The first batch of under-graduate students enrolled in the year 2013-14 will be passing out in this year. He said country's youth has talent but they are not able to fully utilise their potential and develop technologies to the likes of Google or WhatsApp. "There is talent in the country, but there is no ownership," Javadekar said, adding global companies hire Indian techies and utilise their talent. "We have lost opportunity at the time of Industrial Revolution and Hardware revolution. We don't want to lose any more opportunity. We must do justice to our students," he said. Seeking support of parties for the legislation, Javadekar said education is a national policy and not about party politics and that passing of the bill will further boost IT education in the country. The minister said the IIITs are expected to further strengthen the talent pool required by India's IT industry. Talking about India's dominance in the IT sector globally, he credited former Prime Minister Atal Bihari Vajpayee for his vision for the IT sector. The UPA government in 2010 had decided to set up 20 new IIITs in Public Private Partnership. However, the scheme approved by the union cabinet on December 7, 2010 does not have provision to empower the institutes to grant degrees to its students. Some members talked about lay-offs in IT sector. Responding, Javadekar said it was not true as TCS and Nasscom have projected 70 lakh new job opportunities in the sector. Participating in the debate, Congress's Deepinder Hooda criticised Javadekar for not mentioning contribution of former prime minister Rajiv Gandhi in bringing policy initiative in the IT sector. "We should not indulge in politics in such important issues...It was Rajiv Gandhi who was pioneer in beginning IT education in the country," Hooda said. He also attacked the NDA government for removing names of Rajiv Gandhi and Indira Gandhi from various government schemes. The Congress MP also asked Javadekar to explain why works on the proposed IIITs in Amethi and Sonepat have been stopped. Referring to difficulties being faced by India's IT firms due to changes made by the Donald Trump administration in granting H1B visas, Hooda said Prime Minister Narendra Modi must tell the country whether he had raised the issue with the US during his recent visit there. Welcoming the IIIT bill, Hooda said the government must formulate strategy to support the IT industry in the wake of the US and some other countries resorting to protectionism. Hooda said so many leading IT companies have significantly cut jobs and the government must support the industry from further slide. Quoting a recent report, he said only 2 lakh jobs were generated annually as against the election promise of creating 2 crore jobs per year by the BJP. P Ravindra Babu (TDP) said the information technology industry is going through a crisis and India is feeling the heat. Some major IT firms are retrenching people, he added. P K Biju (CPI-M) raised concerns about the lack of clarity in terms of reservation at the institute, adding that there are higher chances of students from underprivileged sections not getting into it. Contending that the bill would have far-reaching implications on the engineering education system, he urged the government to reframe it to address issues related to teaching faculty and students. RSP's N K Premachandran said he was opposing the principle of public private partnership in higher education as such initiatives could result in downtrodden students not getting the best education. Jose K Mani (Kerala Cong-M) mentioned that thousands of IT graduate students are jobless and also wanted to know about the role of private players in PPP institutions in higher education. P D Rai (SDF), Arvind Sawant (Shiv Sena), B Vinod Kumar (TRS), Adhir Ranjan Chowdhury (Cong), Kaushalendra Kumar (JD-U), Dushyant Chautala (INLD), Jaiprakash Narayan Yadav (RJD), Butta Renuka (YSR Cong) and Gajendra Singh Shekhawat (BJP) also spoke. According to an HRD official, that while there was an IIIT Act, it covered only the centrally funded IITs. The guiding principle behind the act is to provide autonomy while at the same time ensure there is a balance through accountability, he said. According to the official, a board of governors will be the principal policy making body of these educational bodies. There will also be a coordination forum headed by the HRD minister. It will only have a coordination and advisory role, the official said.